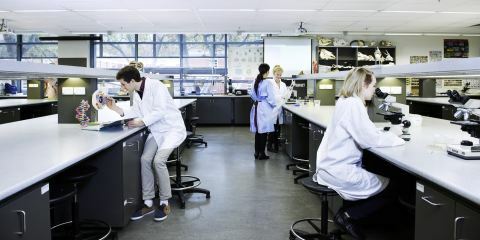 Study Bachelor of Medical Science at the University of South Australia (UniSA). Information for International students. This flexible degree prepares you with the skills and knowledge to work in health and medical research, and biotechnology. During the first year you will develop an understanding of biological systems, how the human body functions and will begin to explore research methodologies. 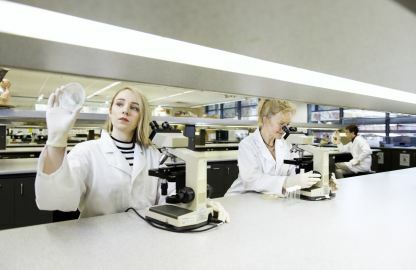 Students may also choose a course that enables them to join one of the Universities research groups and undertake a short research project providing students with experience in a research environment. 1. Human Body 1 and 2 (BIOL 1047 & 1048) must only be chosen as a first year elective (i.e. Elective 1 & 2) and not as a Medical Science elective 1, 2, 3, 4, 5 or 6. 2. Students must have at least one of these courses in their program. 3. To qualify for the degree, students must undertake a minimum of six 3rd year level courses. 1. Electives 1 and 2 are free electives to be selected by the student from any University wide undergraduate elective, provided the pre-requisites have been met. Only first year courses from the list of Medical Science electives may be chosen. If a student is considering using Medical Science as a pathway to another degree, they are advised to speak to the Program Director before selecting their free electives. 2. Medical Science electives 1-6 must be chosen from the list above. Not all Medical Science elective courses may be offered every year and may also be subject to minimum class numbers. Other Medical Science electives may be negotiated in consultation with the Program Director. If a student is considering using Medical Science as a pathway to another degree, they are advised to speak to the Program Director before selecting their Medical Science electives. 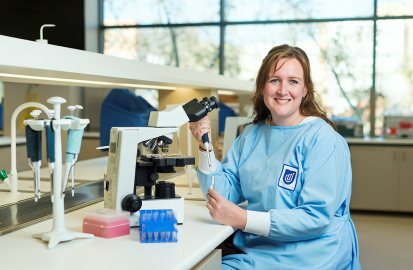 As a medical science student you will benefit from our industry connections, experienced staff and strong links with several internationally-renowned research groups, UniSA Cancer Research Institute, and Centre for Cancer Biology (an alliance between UniSA and SA Pathology). Our strong links with several internationally-renowned research groups, UniSA Cancer Research Institute and Centre for Cancer Biology means you will have the opportunity to work alongside experienced industry professionals, award-winning researchers and acclaimed academics. This is a great opportunity for you to build important relationships and networks, which may be vital to your career progression after graduation. If you finish your degree with a credit or higher grade point average (GPA) you could also be eligible for the one-year Bachelor of Biomedical Research (Honours) degree and, depending on results, may also be eligible to proceed to further postgraduate study. You could take your career to the next level with postgraduate research study including a Masters by Research or a PhD. I head up the Molecular and Evolutionary Physiology of the Lung Laboratory at UniSA - here we use a range of animal models to understand the evolution, development and regulation of molecular systems. I have always had a passion for science and medicine and this degree covered those areas. I also had the opportunity to put the molecular laboratory skills I had learnt into practice through placement, and undertook a research project at the Centre for Cancer Biology.